Here you can easily book tickets to events hosted by Gratitude Art. If there is nothing visible under this category, it is because we are not organising any event at the time being. Please do not pay for shipping fees for this product, as no postal service is needed for this product. Your ticket is the receipt you will receive on your e-mail. 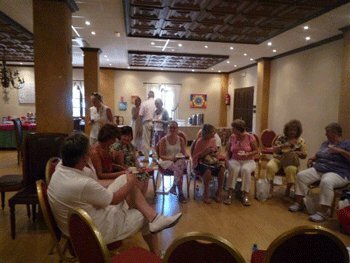 If you need more information about an event that is held asociate to Gratitude Art, please contact us on +34 951 712 258 or by e-mail info@gratitudeart.com. Strict terms and conditions apply to this section. By booking an event on Gratitudeart.com you confirm that you have read and agreed to our terms.